The encounter of monsters Brock Lesnar vs. Braun Strowman requires an ample doses and patient pace of Paul Heyman to remain as compelling as it has been up to this point. In its beginning stages, the Universal Championship battle has remained to the point and simple. Last week, Strowman got into the ring with the motive to attack Lesnar. He lifted The Beast Incarnate on his shoulders and took him up to the canvas. 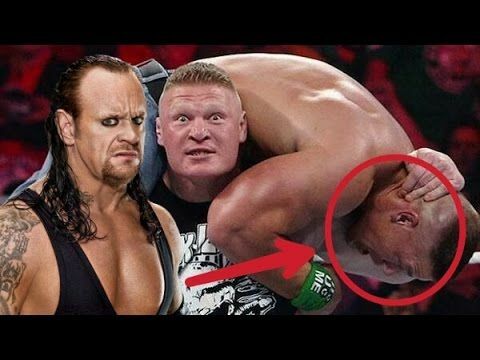 WWE Raw on Monday saw the response of Lesnar and Heyman and his manager. Unlike with Roman Reigns Vs John Cena, WWE didn’t go to the stage of contract-signing. It didn’t have Strowman and Lesnar brawl yet. Instead, on the microphone Heyman painted a picture and Lesnar gave the exclamation point. MMA Videos | index | October 6, 2017 6:26 am | Comments Off on Braun Strowman Vs. Brock Lesnar: How Will WWE Raw Feud Build On Good Start? Since the post-WrestleMania 33 edition of Monday Night Raw,Brock Lesnar has not appeared on WWE programming. However, the likelihood of Lesnar returning after WWE Extreme Rules is seemingly possible. In order to determine who will receive the first title shot against The Beast in July at the WWE Great Balls of Fire PPV, there are plans to host a Fatal Five Way. Whoever comes off victorious in the match, would be amongst some of Lesnar’s coming challengers in the near future. Reports however has it that the WWE Universal Title would most likely be defended by Lesnar at the WWE Great Balls of Fire against either Finn Balor or Seth Rollins. However the tide decides to turn, expectations remain high that Lesnar would walk away from the PPV still a champion. The former heavyweight champion Brock Lesnar, on Tuesday 14th of February declared to UFC about his retirement as his name is no longer on the roster of the Las Vegas-based promotion, his name has also been deleted from the United States Anti-Doping Agency Drug Testing pool. The 39-year-old American received a year suspension from both USADA and the Nevada Athletic Commission having been confirmed positive for the estrogen blocker clomiphene in both an in- and out-of-competition drug test in relation to UFC 200, his team said it is that believed the substance in question was part of a foot cream used by Lesnar in the lead-up to the fight, but he was unaware it contained banned substances. 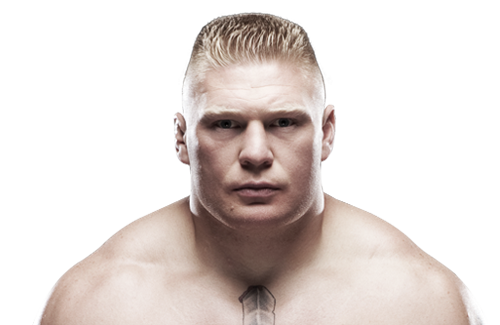 Brock Lesnar would probably be fighting Shane Carwin in the heavyweight category soon. It would surely be a UFC event that is much awaited among fans of both fighters. Carwin would be interested in such a fight as a way to get the belt as well as to defend it. It would certainly be his dream fight, after which he will retire. For Shane it has been a while that he has been in the Octagon. He was a title challenger before and this time he is thinking of making a return. There was an interview with Carwin where the 41 year old disclosed that he suffered several injuries when he lost out to junior dos Santos in the year 2011. On the other hand, Brock has other opponents to face. There is rumor that he will be up against Dean Ambrose, who is considered a talented former member of Shield. WWE has probably not utilized his talent to the full. Since The Shield was disassembled the booking of Ambrose has been questioned, but it might be coming up soon.